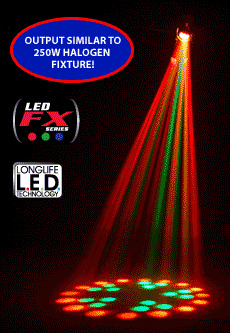 American DJ Electra LED Special Effects DJParts - All Variety of Parts that DJ Needs. 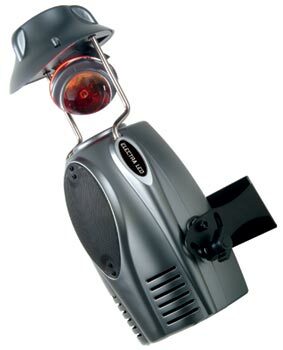 Using LED Technology and a special glass optical system this American DJ LED Moonflower effect produces sharp red, green and blue beams of light – a spectacular light show that could not be produced with traditional halogen Moonflowers. • Weight: 5 lbs. / 2.4 kgs.